Thelypteris noveboracensis New York fern Aspleniaceae THNO; Bx, pb, vc, wv; Q; cu; R, cl, gb, sv; Also planted in restorations: Bx, br, rd; NY, iw, tr; Q, a, cu; K, fs; R, pr (Wenskus 2004). 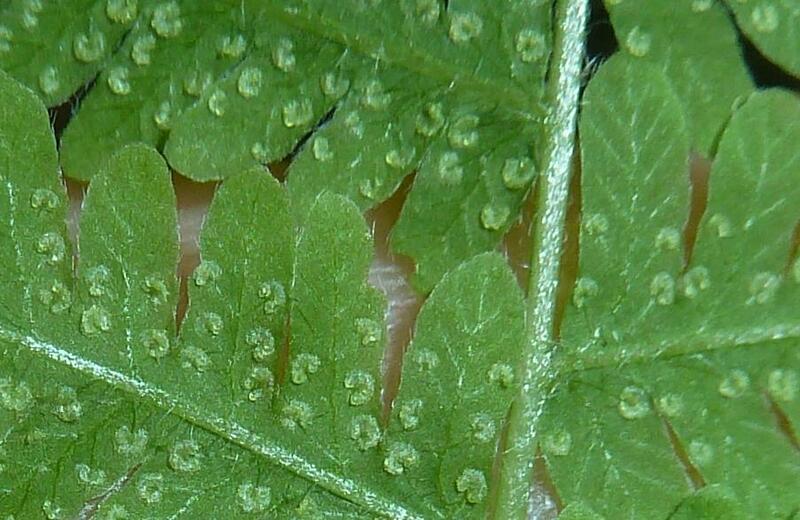 Thelypteris noveboracensis.L. Mellichamp.Herbarium University of Michigan.michiganflora.net (Accessed 5/2016). 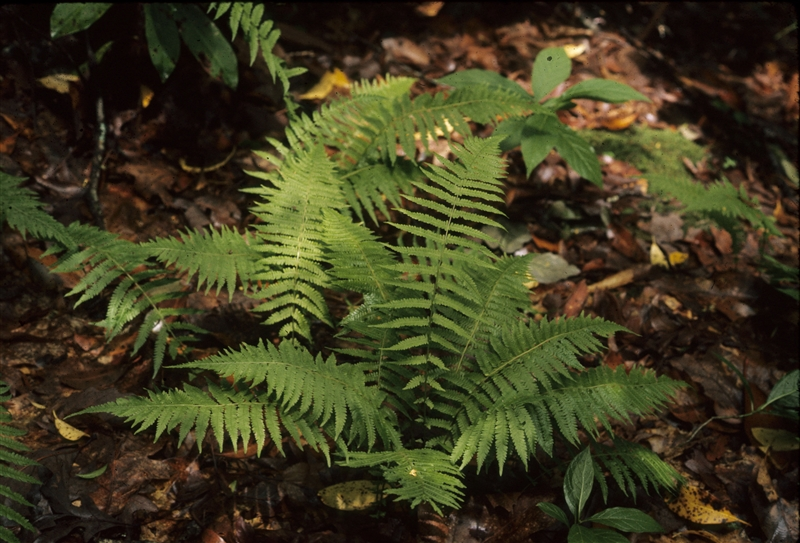 Thelypteris noveboracensis is a fern to 90 cm tall, aggressively colonial from a dark brown, slender, branching rhizome. Leaves deciduous, yellow-green, in small tufts from tips of rhizome branches, stalk 12-20 cm long, dark, scaly at base, slightly hairy; blade once pinnate-pinnatifid, to 15 cm wide, tapering sharply at both ends, leaf axis green, leaflets stalkless, to 1.5 cm wide, becoming much smaller near leaf base, lobed to midvein, lobes numerous, margins entire, tips rounded, midrib and veins hairy. Tthelypteris noveboracensis.spore cases.Transformational Gardening.transformationalgardening.com (Accessed 3/2017). Spore cases sparse, near margins of lobes, covered by kidney-shaped, hairy structure (indusium). Notes: Tolerates acid soil to pH 3.9 (Greller et al. 1990). Easily confused with hay-scented fern upon casual observation or from winter remnants (see above).